Description Painted canvas sign with wooden backboard and border. 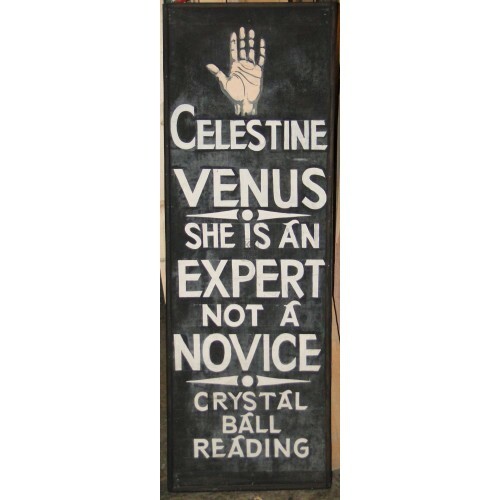 "Celestine Venus. She is an expert, not a novice. Crystal ball reading."